At PAsunrooms, we are extremely proud of the Four Seasons Sunrooms & Windows sunrooms and sunroom products we sell. We know that once you get a taste of what these sunrooms can offer, you’ll fall in love with the idea of having a sunroom of your very own. We invite you to visit our showrooms to see what our incredible sunrooms are all about. If you’ve never gone to a sunroom design center and you’re not sure how to get to one or what to expect when you get there, read on. 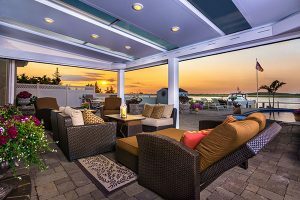 Where Can I Find a Sunroom Design Center Near Me? If you live in Central PA, there’s a Four Seasons Sunrooms design center within easy reach. We have full sunroom design centers in both Harrisburg and Lancaster, PA. You’ll find our Harrisburg location at 7831 Paxton Street, Harrisburg, PA and our Lancaster location is inside The Patio Shop at Stauffers of Kissel Hill at 301 Rohrerstown Road, Lancaster, PA 17603. When you arrive at our showroom, you’ll find a knowledgeable, friendly consultant who can’t wait to tell you all about our amazing sunrooms. Our consultants love to share their knowledge about the sunrooms we sell and all the ways they can benefit you, as well as enhance your home and transform your life. Our consultants also know that one size does not fit all when it comes to a sunroom design. Your home might be more suitable for a conservatory than a standard four-season sunroom. You may prefer a solid Cathedral roof to a standard glass roof. You may be interested in a high-tech Four Seasons Sunrooms & Windows LifeRoom. No matter what you’re looking for, you can experience features like the incredible CONSERVAGLASS SELECT™ technology and see what different sunrooms look like for different homes. You’ll leave with much more confidence that we’ve found the right sunroom for you. What Happens After You Visit Our Showroom? Once you’ve seen our showroom and found the type of sunroom and options you love, the next step is for us to send one of our experts to your home for a free consultation and in-home estimate. You’ll learn exactly how we are going to install a Four Seasons Sunrooms & Windows sunroom in your home and what you can expect it to cost. Once we agree on terms, we’ll put our expert installers right to work, and you’ll have that amazing dream sunroom as a part of your home. Before long, you’ll wonder how you lived without it. You can read about these unbelievable sunrooms all day long, but to get really excited about the possibilities, we’d love to get a chance to talk to you face-to-face. 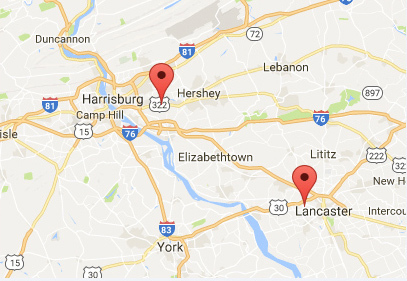 Please stop by one of our design centers in Lancaster or Harrisburg and let us show you around. We can’t wait to introduce the magic of Four Seasons Sunrooms & Windows sunrooms to you and your family.